In the dim and distant history of the Internet, back in 1994-95, there was a web site called The Prostate Cancer InfoLink. We were told it would never work because “old people didn’t use the Internet.” Wrong! The Prostate Cancer InfoLink turned out to be one of the most successful, early, patient-oriented web sites. Indeed, parts of this original site are still archived out of historical interest on the Phoenix 5 web site. But the original site had its limits because of the technology then available. Early in 2008, the founders decided to rebuild The “New” Prostate Cancer InfoLink using Web 2.0 tools and capabilities. It first went “live” on March 20, 2008. Hopefully we will be able to attract back a few of our earlier patrons and they will tell their friends. The “New” Prostate Cancer InfoLink and the “New” Prostate Cancer InfoLink Social Network were initially founded as a not-for-profit production of The Krongrad Institute for Minimally Invasive Prostate Surgery and Vox Medica, Inc.
As of August 21, 2008, ownership of The “New” Prostate Cancer InfoLink and its social network were transferred to a registered a nonprofit corporation called Prostate Cancer International, Inc. 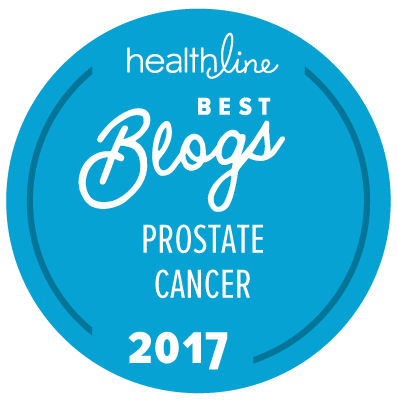 Please let us know what you like (and what you don’t like) about The “New” Prostate Cancer InfoLink as it grows. It will take us a little time to get up to “full working order.” In the meantime, please post links to this site. Oh, and we are going to be trying a bunch of “new things.” Some will work. Some won’t. When you think they don’t work, don’t bother to use them. If you think they do work, just use them. We’ll know! The content on this page was last reviewed and updated December 4, 2018.